Therapies at Wootton Fields is primarily a centre for Holistic & Complementary Therapies and Physical Health. We offer a peaceful and calm environment where you will feel comfortable and welcome. Our aim is to provide a friendly yet professional service to all our customers.Therapies at Wootton Fields opened in February 2011. We believe in a multi-disciplined approach to your health and wellbeing and are able to offer a wide variety of holistic and complementary therapies. We are constantly looking to expand these skills to give you more variety and choice to cater for your needs.We look forward to meeting you soon! 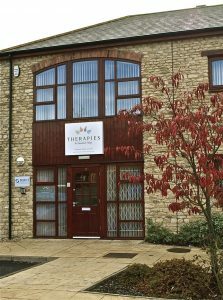 Therapies at Wootton Fields is conveniently located in Wootton Fields, just 1 to 2 miles from Junction 15 of the M1, within the shopping precinct at Wootton Fields where there is ample parking.Please book your treatment directly with the Therapist. Contact details can be found on their own page.